Which variety of potato is best for roasting, mashing and more? In the UK, we grow around 90 varieties of potatoes, but there are literally thousands of different types grown every day across in the world, many of which are rare varieties found in their native Peru. 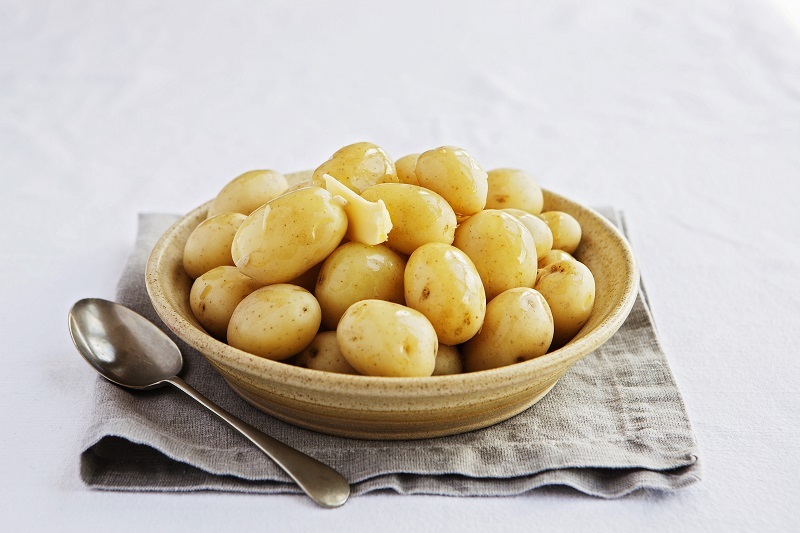 The most popular variety by far in the UK is Maris Piper – mainly because it’s such a great all-rounder – and along with a handful of other household names such as Charlotte and King Edward, you’ll usually find them listed on the pack by variety as opposed to general ‘white’ or ‘baby’ potatoes. With that in mind, it is clear that there is a growing awareness that not all spuds are the same – look at any supermarket in the days leading up to Christmas and you’ll see King Edward and Maris Piper flying off the shelves, widely acclaimed for being the potatoes of choice for the perfect roasties. Potatoes are much-loved by foodies for a great number of reasons, not least their versatility. We’ve broken down some of the most popular ways they are prepped to help guarantee you get perfect potato products every time. The classic side dish of mash has been named Britain’s favourite way to prepare potatoes and a hot topic amongst chefs, home-cooks and foodies alike is how best to prepare it. Our advice for the perfect mashed potato is to look to varieties with a smooth, creamy-tasting flesh such as Desiree, Mozart or Laura, which are all red-skinned varieties as their texture is better for mash. Maris Piper also works well, but will give a more fluffy mash as opposed to creamy, and is readily available in most supermarkets. Put simply, any big potato will do and they can often be found in stores packaged as ‘baking potatoes’. Some popular favourites include Marfona, Saxon and Nectar which are good all-rounders. But it really depends on what texture of jacket you like, as everyone has their own preferences whether it’s firm and dense or light and fluffy. Much like jackets potatoes, look for good, large all-rounders such as Marfona, Saxon and Nectar. When it comes to classic roasties, a ‘floury’ type is definitely the way forward as this will create the ideal mix of textures once it’s cooked. For a long time, King Edward held the crown of producing the ultimate roast potato, but other fluffy textured favourites such as Maris Piper and Inca Bella are starting to challenge for the title. It’s a question we are often asked, so we put together a handy guide on all things roasties. 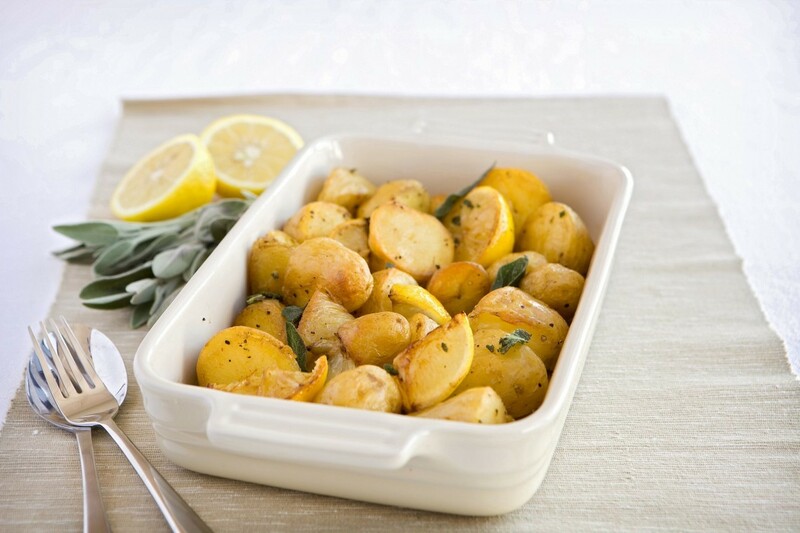 However, there are other tasty ways to enjoy roast potatoes and a good summer food staple is by using new, baby or salad potatoes – just pop them into a roasting tray with a little oil and cook until they’re tender on the inside and golden in colour. Accompanied with a dash of butter and a sprinkle of sea salt, there are few better side dishes than baby potatoes. Delicious boiled or roasted, they are also ideal for steaming. For the best results, try Charlotte, Maris Peer or any seasonal new potatoes, such as the exceptional Cornish new potatoes in season during the warmer months. And as we all know, nothing says summer like a freshly prepared salad and to add an extra level of depth and texture, potatoes make the perfect pairing. Maris Piper is the traditional chip favourite and with its creamy white flesh and fluffy texture, you can guarantee a tasty crunch on the outside whilst remaining light and fluffy in the middle. As a simple go-to recipe, we’d recommend our tried-and-tested triple cooked chunky chips. The ideal fries are crisp on the outside and fluffy on the inside, so like chunky chips, Maris Piper is the recommended choice to ensure a consistent cook throughout. Spuds are a great way to add substance to soups and stews, but which variety is best all depends on its wider purpose in the dish. As a natural thickening agent, choose a potato high in starch such as Maris Piper. Alternatively, waxy types such as baby potatoes or Desiree are an ideal choice if you’re looking for a spud which will hold its shape. Have you got a question you would like our potato experts to answer? Get in touch by tagging @seasonal_spuds on Instagram or by liking us on Facebook. It’s official: food scientists at University of Lincoln have confirmed that yes, you can eat spuds after they have started to sprout - and yes, they are completely safe!